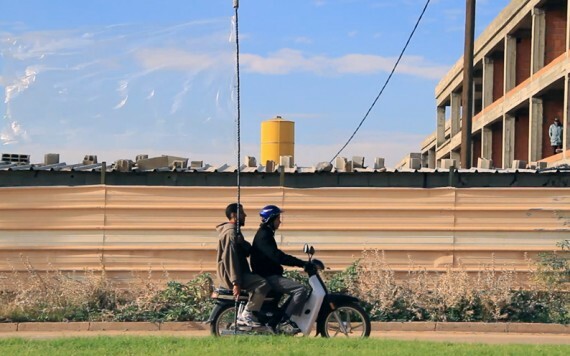 Manchester's Castlefield Gallery is celebrating its 30-year history with a forward-looking exhibition featuring artists who are 'shaping the future of contemporary art'. Liz West, an artist based in the city, speaks to the gallery's director and to fellow Manchester artists, about the important role it plays in the area's art ecology. Castlefield Gallery marks its 30th anniversary this year, a milestone that is testament to the energy and determination of its founders and staff. And as befits an organisation that has been at the forefront of many new developments in the city’s art scene, it is celebrating by looking forward rather than back. For the exhibition 30 Years of the Future, the gallery has asked prominent contemporary artists, curators and thinkers who have contributed to its history to nominate artists who they consider to be shaping the future of contemporary art. With 14 nominators including Ryan Gander, Hans Ulrich Obrist, JJ Charlesworth and Bob and Roberta Smith, the show features 16 artists working across sculpture, film, painting and performance. The history of Castlefield Gallery is both fascinating and heartwarming. As an organisation it has celebrated many successes, been proactive and reactive, and has also suffered temporary upset along its journey. Founded in 1984 by artists from the Manchester Artists Studio Association, it was launched to address the need for more exhibition space within the city. Castlefield Gallery moved from its original space (pictured below) into the current, purpose-built building on Hewitt Street (above) in 2002 . It has continued to make ambitious exhibitions, with a programme responding to national and international trends. Programme manager Matthew Pendergast believes that good timing is key. When looking for artists to work with, he thinks about where an artist is in their development and “whether the show that we are thinking of putting them in is right at that point”. 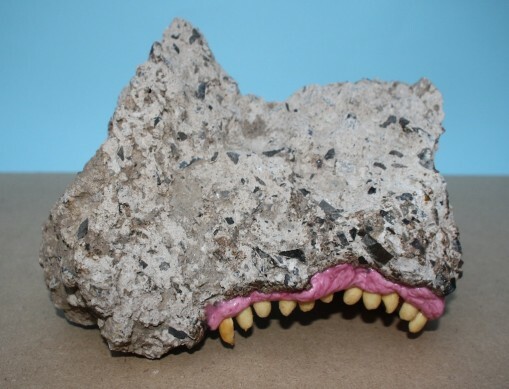 Büchler selected Manchester-based Greek artist Evangelia Spiliopoulou for inclusion in the exhibition. 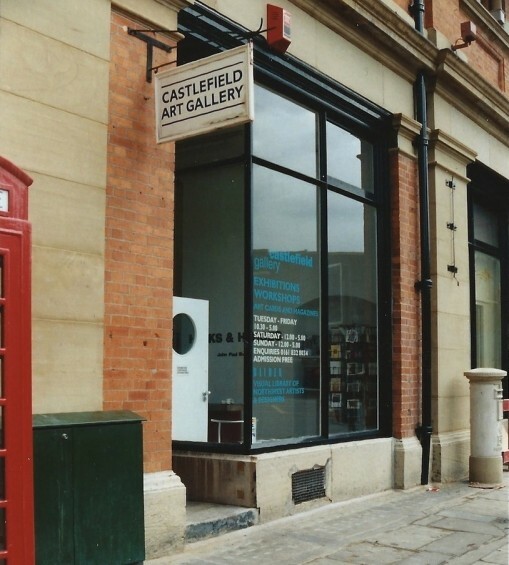 She asserts that Castlefield always demonstrates “a focus on the quality of their programme and keeps up-to-date with the contemporary cultural debate.” She believes this is an important role for a regional institution, adding that “Castlefield Gallery has anticipated this role and has been loyal to it”. That DIY approach came to the fore in 2011 when Castlefield lost its National Portfolio Organisation (NPO) funding from Arts Council England. It prompted a rethink of the gallery’s strategies and an extensive plan was drawn up with the help of external consultants. The time without regular ACE funding has been used wisely. The gallery has developed its New Art Spaces initiative and opened Federation House in the city centre, as well as other facilities for artists within the region. Having now regained NPO funding (2015-18), the gallery is in a position to grow and continue to deliver thought-provoking exhibitions. While the period that followed the 2011 news was traumatic – “We nearly closed!” explains Lee – getting NPO funding this time was “a mixture of relief and disbelief because it didn’t feel real”. Ultimately, though, the experience has made the gallery stronger, and Lee believes that it is now “more reactive and responsible”. The future for the gallery looks exciting and promising. It is collaborating with Manchester Metropolitan University’s MIRIAD (Manchester Institute for Research and Innovation in Art and Design) to capture all artist-led activity within the city from the last 30 years. Together they aim to map and document opportunities for artists to continue their professional development in Greater Manchester and beyond, giving exposure to the city’s rich and diverse artistic history. Castlefield will also be developing international exchanges as well as continuing to curate the gallery, facilitating pop-up spaces and organising the evolution of its CG Associates programme. Castlefield is an active bridge between the different organisations, artists and institutions within the city, drawing upon its 30 years of extensive knowledge and experience: mentoring, brokering, training, networking and programming. Lee believes that it acts as a central part to a network. “We often talk to institutions that don’t understand the value of artist-led activity and introduce them to the significance of artist-led or grass roots independent activity,” he explains. Castlefield Gallery was and still is pioneering in its approach – here’s to another successful 30 years.